“How do you keep track of everything?” I asked my secretary. We stood in a dilapidated portable building, the Technology Department building. In response to my question, my secretary waved at the three large file cabinets behind her desk. In my previous district, my secretary and I had cleaned out all the paper, digitizing the critical. In my new district, I faced a monumental task, digitizing the paper and creating a new order of things. Organizing and tracking important decisions and resources is knowledge management. Let’s explore some strategies you can use to achieve knowledge management (KM) nirvana. If you’ve ever had to sort through paper copies of contracts to find the one you need for a meeting, you need KM. Wish you had an easy way to set up virtual meetings with others and sharestatus reports? Wish you could pull up those meeting notes, E-rate spreadsheets, equipment replacement plans? You need KM. You need knowledge management if you have assets that include databases or documents. This can include policies, procedures and un-captured expertise and experience in individual workers. Essential to your KM setup effort is a common, positive attitude to learning and sharing. Without this, your KM journey will fail. You may also have to overcome the “tyranny of competence” obstacle. This type of person is one who works alone and has a high technical competence. The more unique their work, the more powerful they are. This person is less prone to collaborate with others. In some ways, they hold the entire team hostage with their expertise. When setting up a KM system, you have to encourage each team member to share what gives them a sense of job security. When job security centers around the skills one person has, there is a lack of team trust. No longer do we live in a time where organizations can get by with siloed information. A select few no longer hold the keys to the castle. Best-in-class organizations earn their success. They empower their employees through knowledge sharing and professional growth (adapted from source). Here are a few tips for setting up a knowledge management system. For each tip, find technology tools that you can use. Create shared spaces and deadlines. It’s easy to set up a shared space. You can use Microsoft Teams to make connecting and sharing calendar deadlines together. Make content edit and search friendly. One way to achieve this is to use Microsoft OneNote. You can add tags for quick keyword searches and organize your data into sections. You can share the OneNote notebook with others who can open the notebook using their mobile app (e.g. iOS, Android, Win10, Mac). OneNote Online Notebooks make information accessible via a web browser. Collect data that allow for easy graph summaries. Use Microsoft Forms to collect data to meet metrics. This data can feed key performance indicators (KPIs) that you can share with leadership. Choose key staff to capture ideas and information and include it in your KM space. Most of your team will need to have access to the KM space in the OneNote Notebook for reference purposes. You may want to select someone who can update other parts of the KM space. Ready to see how that might work? In my first knowledge management spaces, I relied on wikis and G Suites for Education Sites. Now there are other tools like Microsoft Teams, OneNote, and OneNote Staff Notebook. 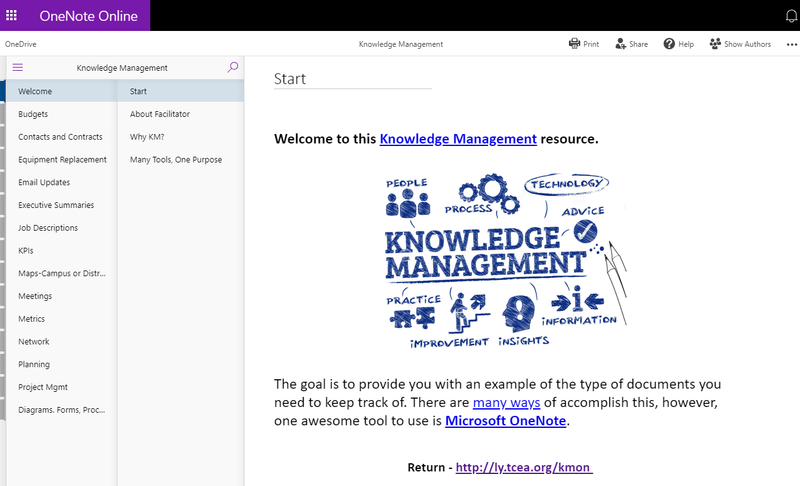 View an example of a knowledge management repository created in OneNote. Microsoft Teams save time and simplifies tracking everyday logistics, making sharing easier. OneNote Staff Notebooks are a part of every Teams setup. They allow you to organize content, share, and collaborate with your team. Apps integrate into the Teams experience. You can access the Office 365 apps you use on a regular basis. Those include apps like Word, Excel, PowerPoint, and Planner. Use these to customize your knowledge management space. Getting started with knowledge management can be daunting. Take the time to build the culture of sharing first. And be sure to start slow and use technologies that make sharing easier for your team. “I enjoyed the hands-on and engaging session,” said one workshop participant. “It was awesome,” said another. The session was Physical Computing and Computational Thinking. 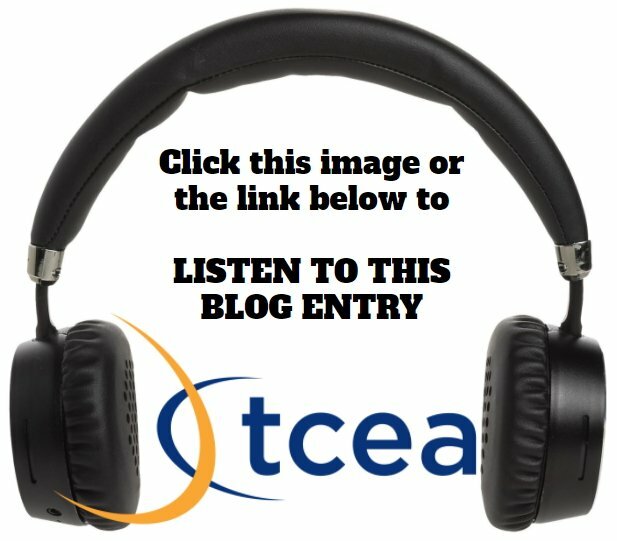 How can we make connections between teacher as facilitator and computational thinking? Let’s explore key design principles aligned to the ISTE Standards for Educators. You can get ISTE Certified via the TCEA’s ISTE Certification program. This digital credential recognizes educators who understand how to use edtech for learning in meaningful and transformative ways. Learn more about that opportunity here. Fostering a culture where students take ownership. Students own their learning goals and outcomes, as individuals or as part of a group. Managing the use of technology and student learning strategies. This happens with digital platforms, virtual environments, hands-on makerspaces, or in the field. Creating learning opportunities that challenge students. Two ways to assure this include design process and computational thinking. The purpose of using these two approaches is to scaffold innovation and problem solving. Modeling and nurturing creativity and creative expression. This is to make communicating ideas, knowledge, or connections more effective. Let’s take a look at the first three points (fostering, managing, and creating). We can look at these via the lens of Physical Computing. Not familiar with the term “physical computing?” Wikipedia defines it as “building interactive physical systems.” You make this happen through the use of software and hardware that have senses and respond to an analog world. Handmade art, design, or Do-It-Yourself (DIY) projects use sensors and microcontrollers. These devices translate analog inputs to a software system and/or control devices. A host of small micro-devices are available in classrooms. From the Ozobot to Adafruit’s Circuit Playground Express to Micro:bit, they are legion. Even more of these small devices comprise the Internet of Things (IoT). IoT may reach 50 billion devices in 2020. Learning to code, control, design, and deploy is thus all the more important. For students, owning an idea can mean having access to resources to make. In maker-rich environments, students identify a problem or innovation they want to pursue. They may solve an existing problem or develop a new way of getting something done. A culture of ownership moves beyond providing resources. It involves making an emotional connection that engages students in a problem. One way, aside from humor and personal stories, involves activating students’ imagination. This can involve students imagining a scene from a text or visualizing a historical scene. It can also involve taking an imaginary journey or teaching with controversy. You can learn more about using emotion to increase engagement and student ownership. If you want to foster a culture of ownership with physical computing, then try the micro:bit Global Challenge. Their challenge asks students, “Can you help solve a problem in your community using the BBC micro:bit?” They include cross-curricular resources such as lesson plans, classroom presentations, and student worksheets. See their teacher resources online. In this strategy, teachers assist in the selection and use of digital platforms. This can range from learning management systems to social media tools. In many situations, students and teachers may not have a say over what digital platforms they can use. The district or school governing authority may have said, “Microsoft Teams must be the one” or Google Classroom, Schoology, Canvas, and host of other LMSs. As educators, we must speak up and choose the LMS that least restricts student learning. LMSs in the past have shut the virtual classroom door. Today, LMSs are often working to serve as a gateway to learning beyond the confines of a classroom. Want to use a digital platform to engage and connect with others outside the classroom? Create a hashtag for Instagram and Twitter. Use your class Instagram account to share images of a problem in your community. Invite others to devise a solution for it. One example may be to create a night sensor for areas that are not well-lit at dark. Learn more about this idea. Creating challenging learning opportunities for students can involve design thinking and computational thinking. Both approaches expect students to break down complex steps into simpler algorithms. Computational thinking is a way of solving problems. This thinking has four elements which include decomposition, pattern recognition, abstraction, and algorithm design. Watch this video. Computational thinking does not mean you must be a computer science whiz. The goal is to make these elements student accessible. Students can learn to use diagrams to express a solution. This involves abstraction, or identifying general principles that generate recognizable patterns. Students make up rules that reflect an observed pattern. The Rock-Paper-Scissors activity with the micro:bit is one way students learn that. Students use “on shake” to create a reaction (e.g. rock, paper, scissors). Over time, students may notice a pattern. These patterns for playing the game (e.g. scissors, paper or rock) are observable. Students program the micro:bit so it can understand the game’s logic. Students learn to figure out the game in a way they can code into a computer (Source). Want to Try Physical Computing? Want to give physical computing and computational thinking a try? Contact TCEA for a face-to-face workshop. Don’t take my word for how much fun learning can be. Listen to Julie, and Ethel, workshop participants, share. What happens when you blow people’s minds because what you’ve shared changes their perspective in a radical way? What happens when participants get a new way to see teaching, learning, and leading? That’s when counters are reset to zero and learning begins anew. It’s at this moment as you feel unsure about all that you know that your supervisor drops the request. “Can you take the lead in supporting blending technology into what we do on campus?” This blog entry explores five critical steps. “My mind is reeling. It feels like I missed chances in the last fifteen years in my classroom,” said an ISTE Certification participant. A few moments prior, the workshop participant had completed an activity. The activity involved reviewing education frameworks like SAMR, TPACK, LOTI, and HEAT. I’d seen this reaction before with campus principals. We often get an ephemeral positive feeling about technology when it works. But that feeling doesn’t always align to actual teaching and learning. Observational frameworks like HEAT, when understood, shift people’s thinking. H.E.A.T. is a four letter acronym that stands for Higher-order thinking, Engaged learning, Authentic connections, and Technology use. The H.E.A.T. focuses on assessing student learning experiences. Because it offers descriptors for classroom walkthroughs, you can use it for peer coaching/mentoring growing conversations. Analyze existing instructional activities with HEAT to get the conversation started. Write new lessons as a team, discussing activities with the framework in mind. Try a Four Corners approach with each aspect of the HEAT framework. Analyze a traditional lesson. Focus on the first three parts (H.E.A.) to get at whether lessons make a difference on an instructional continuum. This can give participants a clearer grasp of what should be happening. Shifting people’s perspectives involves creating a safe situation. You extend an invitation for them to change their perspective. That perspective may involve them re-assessing how they teach and see learning. That can be frightening. So make it safe. “How do I decide what technology to get for the whole campus?” asked Jane. She was at ISTE Certification training for one reason. The leadership team had given her the task of making technology decisions for the campus. When she told me that, I had a gut reaction. “Set up a committee of stakeholders. Don’t get stuck making the decision yourself.” Avoid the expert trap. If you make all the decisions, you get all the blame. Worse, you’re the only one who does the learning that comes with the work. The work involves researching and trying potential solutions. It means developing a rationale why certain technologies are better. Chromebooks, iPads, Microsoft Surface Go tablets are all great. Yet that’s not all there is to it. If you don’t know how technologies fit together, you may want to avoid the mix-and-match approach. 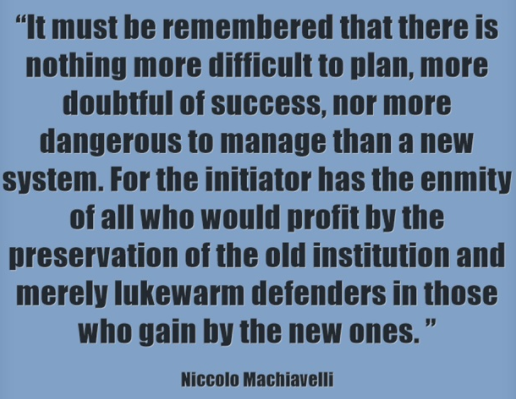 The reason why is that some districts with this approach dump everything on their staff. Then they wonder why usage is so low. Most teachers can’t handle navigating three ecosystems at once. Trying to remember your login and password for more than one system is a headache for some. For those districts that lack a single sign-on solution (SSO), it can be worse. I’ve seen teachers cry when trying to figure out what to use, when, and where. Every second staff spend in technology limbo, they aren’t impacting instruction. Are you going to use Google Classroom or Microsoft Teams? Will you use G Suite for Education, Microsoft Office 365, or Apple’s Classroom 2.0 and iTunes? This is a huge decision based on new workflows your people haven’t yet adopted. You must try these out ahead of time. They are all free. Put them through their paces. How people work varies and no one will be 100% satisfied. What you need is a consensus that, for work purposes, you will use ONE of these ecosystems. For goodness sake, no split decisions. Okay, you have convinced yourself one ecosystem is the way to go. Now decide on the hardware that aligns to that ecosystem. G Suites? Get Chromebooks. They are easy to manage and deploy. Sprinkle in a few Windows 10 or Mac laptops for teachers. Throw in one or two iPads per classroom to assist with video editing, science probes, and more. Use the new Google Sites to house all your staff policy documents. Use Google Calendar for meeting and room tracking. Share your files via Google Drive. Issue Gmail accounts for both staff and students so they can communicate with ease. Introduce mobile apps for smartphones and tablets. Learn how to use tools like Seesaw and Peardeck. Make it easy for teachers to get add-ons and extensions. Office 365? Get touch-enabled Windows 10 tablets. Use School Data Sync (free) to set up class rosters in Teams. 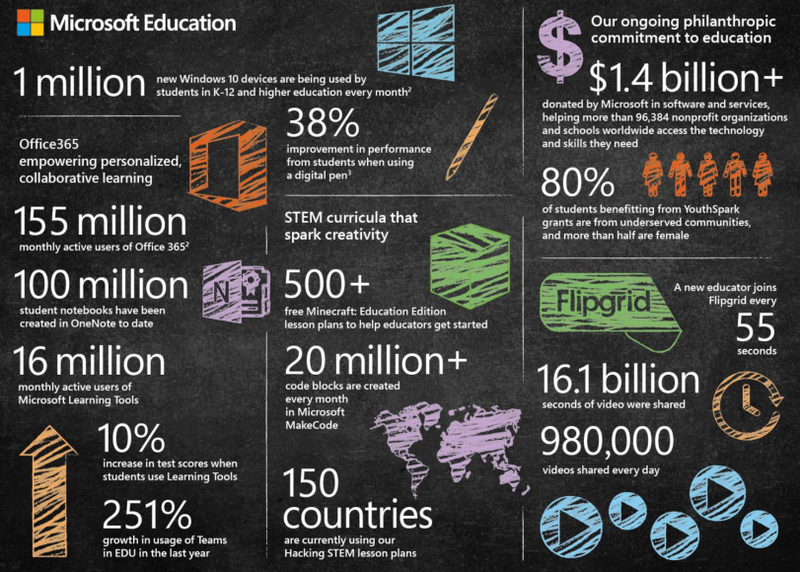 Teams is Microsoft’s virtual classroom tool. 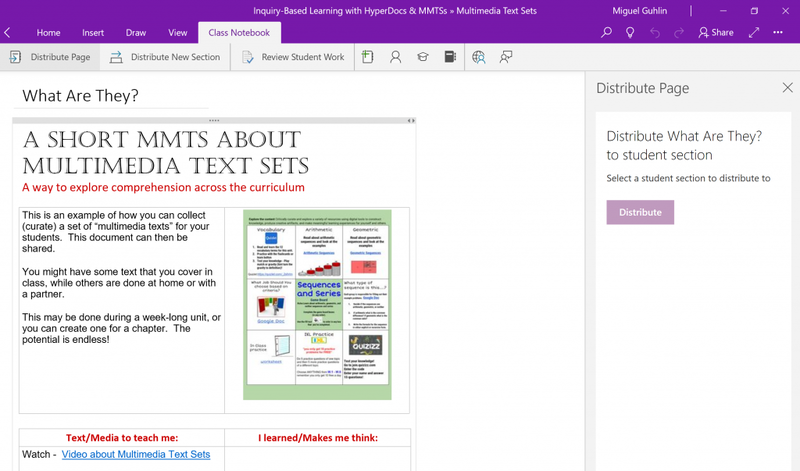 Setup a OneNote Staff Notebook for all staff to share lesson plans, policies, and more. 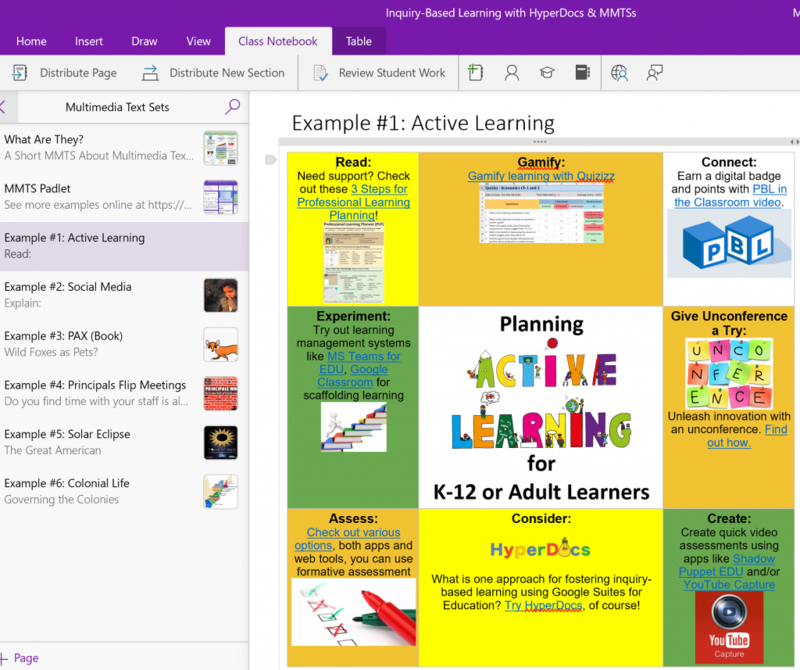 Get teachers and students using OneNote Class Notebook. Introduce Outlook email via the Office 365 portal site (portal.office.com). Get the right license (A3 or A5) so you get the Desktop versions of the Office suite (e.g. Word, PowerPoint, Excel). Introduce mobile apps for their personal and work devices. Load a browser like Chrome and/or Firefox to get past Microsoft Edge’s perpetual beta status. Apple? Get a Macbook and iPad for each staff member. Make sure you have the right case and add a keyboard for secondary students. Show participants how to use Classroom 2.0, iTunes, and other critical apps. Adopt tools like Seesaw and Nearpod. Read the beginner’s guide to iPads in the classroom blog entry. Set up professional learning with collegial coaching. If you want to see changes happen, then embrace collegial coaching. This approach involves colleagues supporting their colleagues. Just-in-time learning can make all the difference. Create a culture where coaching about instruction and technology is safe and results-focused. This may be one of the toughest problems ahead. You aren’t going to get anything done unless you have an SSO in place. That’s because you may have many different online systems. It is unreasonable to expect users to remember account information for each system. Make sure you select an automated system that will ensure your users only need to remember ONE login. “How do we avoid having to type in all our class rosters?” asked a teacher in a workshop. For Microsoft Office 365, I was quick to point out her district needed to use School Data Sync. Tools like School Data Sync, which is available for free to districts, make creating class rosters easy. This frees the teacher from having to create class rosters in various systems (e.g. Office 365) one student at a time. Similar systems for G Suites for Education are available, too. Put this solution in place and you save your teachers many hours of tedious work. This is time they can spend using technology to impact teaching and learning. Now you’ve formed your stakeholder committee. They’ve made the right choices about hardware, software, and training plus coaching. What’s next? The toughest part, implementation. You will need to revisit the implementation, adapting your plans to new situations. Need help? Be sure to call on TCEA’s Professional Development team. You can reach us at 800-282-8232 or submit a logistics form to schedule onsite support. Knowing exactly what to do to improve student learning is difficult today. There are more than 250 recognized strategies for accelerating learning, but not all of them provide the best results. So as a classroom teacher or district leader, how can you decide which ones to spend previous time on? After all of his study, Hattie found that there were nine different strategies that schools could implement with no additional funding (generally) that would, if implemented correctly, dramatically accelerate student learning. We’re going to count down each one over the next few blogs and see if technology can add value to each strategy. Classroom discussion has an effect size of 0.82, which is more than twice what we need to know that a specific strategy will make a difference in learning. Hattie defines classroom discussion as “a method of teaching that involves the entire class in a discussion. The teacher stops lecturing and students get together as a class to discuss an important issue.” The key points are that all students in the class take part in the discussion, whether it is in person or online; that the teacher is silent; and that the issue(s) being discussed matters to the students. In order to involve all, the students must feel safe and unjudged before they will venture an opinion. There are some great ideas on how to make this happen, along with specific things for the teacher to do before, during, and after a class discussion, in this PDF. With an effect size of 0.88, this strategy again packs a punch. What is important to realize about it from the start is that, unlike strategy number 9, this one is all about the teacher. He/She is video recorded presenting a mini-lesson. The lesson is then reviewed by the teacher and/or a coach or supervisor in order to improve the teaching and learning experience. Just as all of us are surprised when we hear our own voice for the first time, seeing ourselves teach can also bring powerful revelations. Unlike when a teacher is being evaluated by an administrator, however, having the lesson video taped allows for him/her to go back and review the actions in question over and over again, as well as those teaching moments that worked well. It allows for greater reflection and growth over time. To be most effective, the discussion as the teacher and a peer watch the video should center around specific, viewable behaviors/actions, some of which may have been designated before the lesson was taught. The peer must facilitate the conversation so that the teacher draws his/her own conclusions and is not just told what to improve by the peer coach. At the end, the teacher should select one area to work on improving for the next few weeks. Technical aspects of the video are much less important than the analysis, which allows teachers to get a microscope-view on their own teaching. So you don’t have to worry about being able to or taking the time to edit it. You can see a good example of an elementary school micro-teaching video here and a secondary one here. Ideally, micro-teaching lessons should be short (less than 15 minutes is perfect) and should have the students acting as they normally would with no advance preparation or practicing. As far as how technology can enhance this strategy, any cell phone with a camera is all that’s really needed. Again, the quality of the video is not what matters, only that the teacher can watch him/herself teach the lesson and reflect on what is good or needs improvement in it. In the next blog, to be published on Oct. 16, we’ll look at two more “bang for your buck” strategies: teacher credibility and conceptual change programs. And if you think this topic has value for your teachers or school leaders, please allow me to come out and work with them to implement these proven approaches with your students. You can email me at [email protected]. Have you had the opportunity to see and view Google’s free Applied Digital Skills curriculum? This curriculum provides you with videos that focus on building students’ project-based problem-solving skills. Targeted at middle and high school students and open to adult learners, the curriculum follows a simple format. Let’s walk through the format together before we adapt it to a 5E Model lesson plan format. You will see different technology tools and apps to facilitate the creation of engagement artifacts. 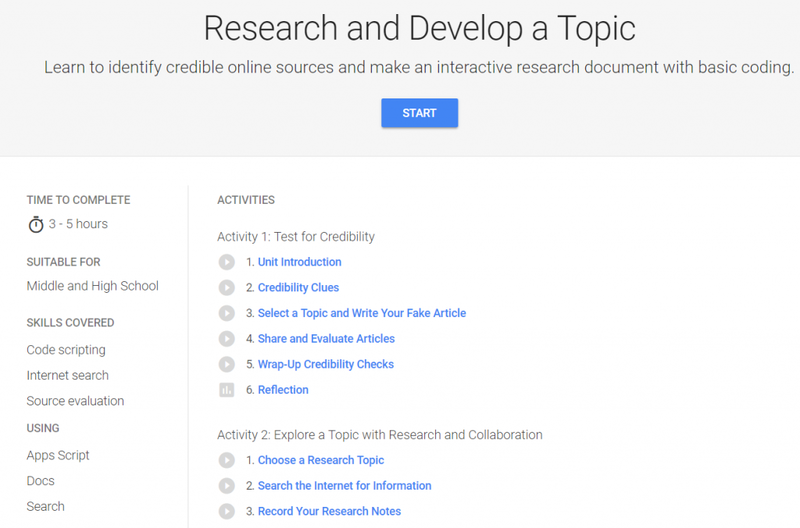 These are wonderful resources organized (searchable per Google app and audience) to allow students to use Google tools. The engagement aspect, however, is lacking. Let’s take a closer look. One challenge well-constructed resources like these present is that they fail to engage students. They are too pretty, well-organized, and structured situations. This reflects well on Google. That aside, learning is messy, as is life. Placing students into a well-structured learning situation can have the opposite effect of what is intended. Instead of being engaged, students disconnect. One way to avoid that involves crafting an ill-structured problem. 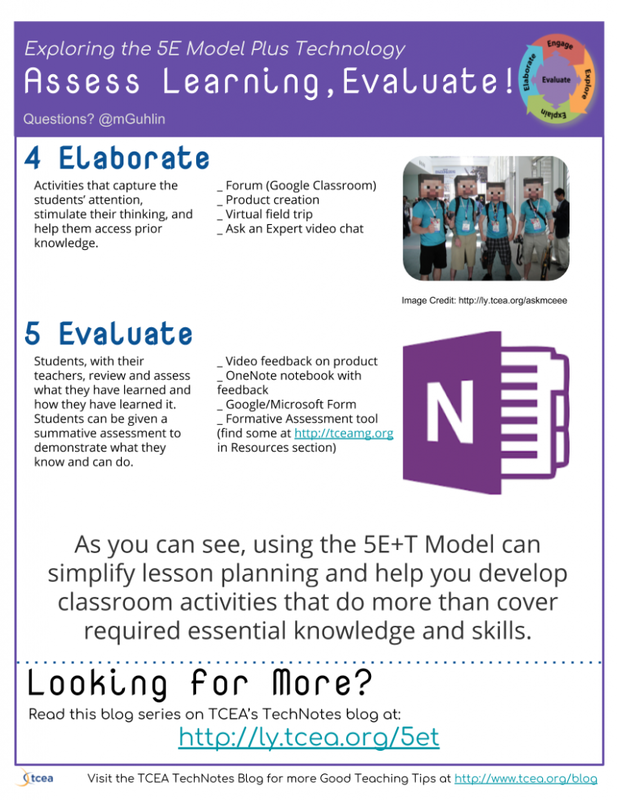 Let’s take a look at the 5E Model as a way to bring more inquiry into these beautiful, well-designed Applied Digital Skills lessons. To get you started, let’s re-imagine the Research and Develop a Topic lesson through the 5E Model. It shouldn’t take too long to gain a deeper appreciation for the differences possible. When beginning with a 5E Model, it’s important to allow students the opportunity to design their own learning. That process begins with Engage and continues through the other 5Es (Explore, Explain, Elaborate, Evaluate). To better explore Engagement, this blog entry focuses on only this first stage. It is the most critical since, without engagement, students seldom see the value of the subsequent steps. The purpose of this initial stage is simple and has powerful consequences. Generating interest: Learners may often be dis-interested in school curriculum. Engaging students means being aware of what they know and care about and then creating a customized hook that piques their interest. Focusing students on particular areas of study: Given the breadth of human knowledge, time and resource constraints limit exploration of all areas of study. The goal in Engage is to provide focus. The right problem presentation blends elements that pique student interest while dissuading them from other areas. Framing the idea: When you create a frame, you are providing a perspective from which to explore a situation. Framing the idea sets up future learning and inquiry. There are several ways to engage students, including ill-structured problems in the form of videos, written narratives, or role-play. Students develop questions they do not know the answers to, and begin to identify areas of interest. Let’s take a look at how Engage might be adapted for the Research and Develop a Topic curriculum. In the natural world, having an earthquake occur would be a teachable moment, and that’s natural phenomena; having the teacher do something that causes cognitive conflict, that’s a more complex term, for it’s unexpected. If I drop something, and it goes up, the student is going to go, “what is that?”, and you then should have a teachable moment (Source). Bybee says that the Engage activity may result in some unexpected consequence or result. What does cognitive conflict look like, though, when you’re teaching how to use search and boolean operators? An example of Fake Newspaper. The image above is a portion of content generated as a PDF document you can get onsite. Created with Online Newspaper Generator. “Banning the national anthem has allowed for a more inclusive learning environment,” stated the Student Council President at a California high school. 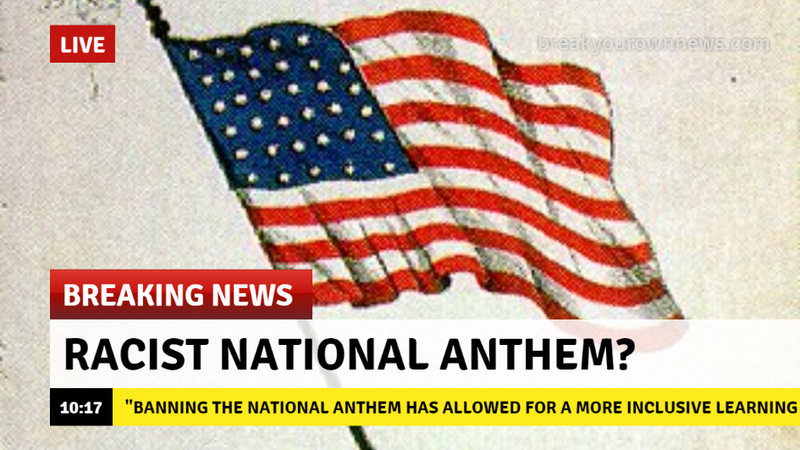 “The National Anthem’s third stanza contains racially offensive content.” To ensure a more inclusive environment for students, the Student Council did away with playing the national anthem. Parents and community members are angry about the Student Council’s decision (adapted from Source). Green Screen Video: Use green screen video tools to create a backdrop of a pep rally with a student or the principal reading an official press statement. Use green screen tools available online. What’s more, apps like Touchcast (see example | slide deck) make it easy to make your own newscast. Tutorials available. Storyboard That offers features for teachers, including suggestions for use with students. 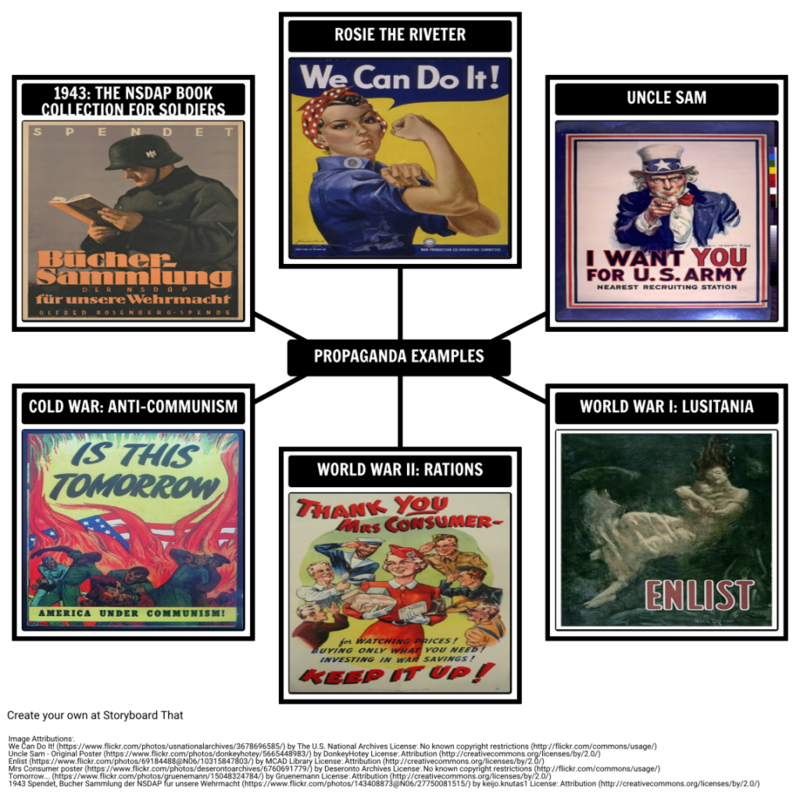 “Propaganda relies mostly on the emotional responses of its audience to generate agreement and action.” See more examples of propaganda online in this slide deck. Note that you can use many tools to create propaganda, including Google Slides/Drawing, and PowerPoint. Distort images or videos to portray a different message than intended. Use real photos or videos to tell a fake story. One example is the animated GIF of the Parkland shooting. In it, the survivor, Emma Gonzalez, appears to be tearing up the Constitution. The reality involved tearing up a poster of a gun target (Source). Why not manipulate images to send a different message? Some tools that can make this easier include Google Slides/PowerPoint and Book Creator’s Comic book feature. You can also rely on movie effects to add impact to a message manipulation. A bonus tip: Get students sharing what they think via a poll and then display results in real time. You can use Google/Microsoft Forms to gather information and then view graphs in real time. Google Classroom and Microsoft Teams make this possible, too. See other approaches online. Engage with questions, problems, or by highlighting discrepancies between cause and unintended effects. Get them thinking with questions they discover and want to explore. Use Engagement to focus students on an instructional task. Engagement involves asking a question, defining a problem, showing a discrepant event, and acting out a problematic situation. 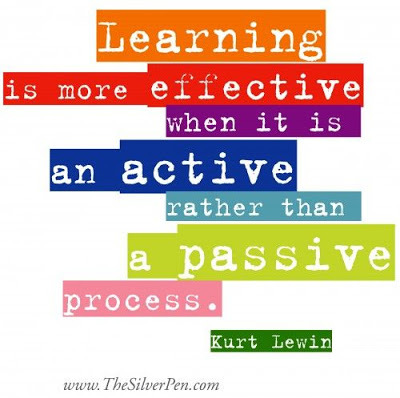 All are ways to engage learners and focus them on the instructional task. When the engagement stage is over, students are motivated to continue. They pursue their areas of interest in a topic the teacher has framed. Ready to bring about transformation in your school district? As principal or department head, you’ve embraced personalized learning (PL). But now, you need to learn how to speed up its adoption and full integration. In this blog entry, we’ll revisit personalized learning. You will see successful strategies aligned to the research and best practices. See how technology can make adoption of PL faster. PL is not one-size-fits-all learning. It represents a diverse program encompassing a wide variety of instructional approaches. The strategies seek to address students’ individual needs. All educational programs, learning experiences, instructional approaches ,and academic support strategies are available. It’s all about whatever works best for enhancing student-centered learning. The role of educators in personalized learning environment has shifted (Source: iNACOL). The shift puts educators in the roles of mentors, coaches, and learning facilitators. More to the point, students take ownership and assume control of their learning, which means that learning becomes grounded in students’ interests and passions. Approaches like differentiated instruction and personalized learning plans become critical. What’s more, project-based learning and eportfolios aligned to standards-based knowledge and skills predominate. How do teachers and principals go about designing and implementing personalized learning approaches? How does the organization’s environment support or impede school-level innovation and its spread? Personalized learning implementation efforts were not systemic or systematic. These efforts were not blended into the existing system. Teachers and principals lacked what they needed to install PL-motivated classroom practices. Principals failed to provide coordination to convert teacher innovations into replicable, campus practices. Cooperation stimulates the human brain. (Source). “Human beings have evolved to get pleasure from cooperation,” says Dr. Robert Sussman. Achieving personalized learning, therefore, must involve cooperation. Are you ready to make personalized learning a reality? Take these report recommendations to heart. To assist you, find specific tips below. Each will help amplify your awareness of the necessary steps. Follow these steps to make personalized learning a reality on your campus. Let’s get started. Read the research on coaching? If you haven’t, you need to move to adopt coaching at your organization. Here are a few TCEA resources to get you started and moving in the right direction. The Power of Video Coaching: Video coaching for professional learning is much easier. Learn how to put in place coaching to transform teaching and learning. Coaching Made Less Difficult: Embrace the power of collegial coaching and set up mentees and coaches for success. Effective Peer Coaching Tips and Resources: Peer coaching is a growing trend. It can help teachers integrate technology to engage students. Take advantage of these tips and resources to get started at your campus. These three coaching resources provide all you need to embed coaching supports. With these supports in place, you can begin the journey towards personalized learning. Managing Change – It’s Not For the Faint of Heart: Change leadership requires a paradigm shift. Learn how to manage change on a daily basis. Do One Thing, Be a Better Leader: What is one thing you can do that can make you a better leader? We’ve got the answer for you! Three Steps to Professional Learning: Review research-based strategies available to support learning. Keep these strategies and questions in mind when planning training. Teaching Digital Resilience: Encourage digital resilience and prepare students for today’s world. Also read Expanding Digital Literacy with Collaborative Inquiry and Communication Apps for Organizations. Rethinking Learning for the Fourth Revolution: Educators must be active in rethinking learning. Here are the steps required. Transforming Learning Spaces: Transform learning spaces of your school. This can lead to big improvements in student engagement and mastery. Here are three tips to help. Five Practices That Speed up Learning: Learn five, research-based practices that speed learning. Knowledge sharing remains a key tenet of successful organizations. The knowledge management process focuses on creating, sharing, using ,and managing knowledge and information. Often this information and knowledge is only in the heads of one or two people. Externalize that knowledge for longevity. Infographics Made Simple: Create infographics to capture and represent key personalized learning practices. New Google Sites: Use the new Google Sites as a knowledge management repository. Save everything there. Read More New Google Sites Tips blog entry as well. Microsoft OneNote: An Office 365 district? 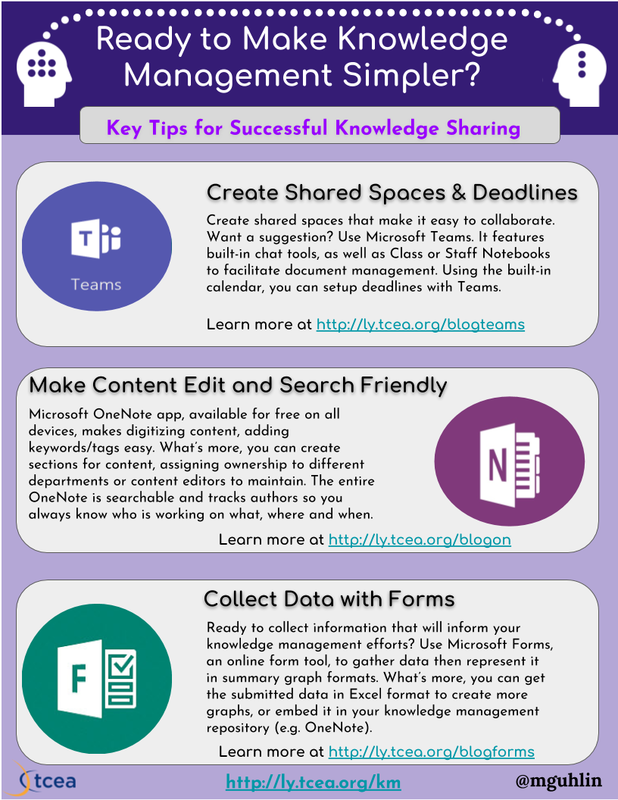 Rely on Microsoft Teams and Microsoft OneNote to create a knowledge management site. Tools abound. Make the commitment to engage in meta-thinking about school and district practices. Microsoft Teams: This provides one-stop shopping for all your meeting needs from live video/audio chat and text on your computer and smartphone to embedded content. You can even create professional learning communities (PLCs). Combine PLCs based in Teams with a OneNote Staff Notebook. 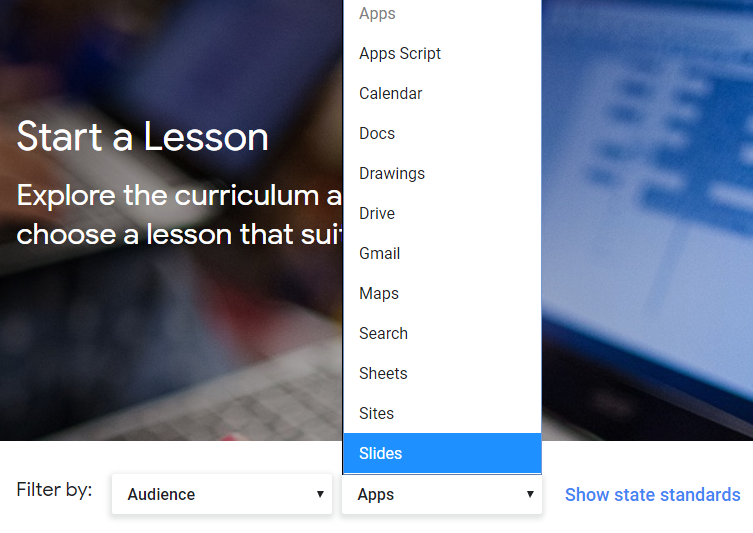 Google Classroom: Use Google Classroom within the Google Suites for Education. Extra, free tools like Microsoft Forms or Google Forms can make data collection easier. TCEA.org: No surprise, TCEA provides personalized learning guides on the side to make PL work. 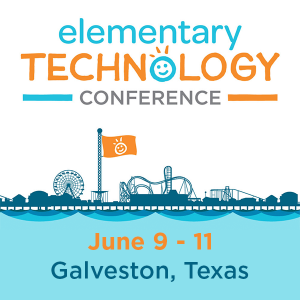 Why not connect with TCEA and let us assist you in tweaking your PL initiative? Personalize Learning with Kathleen McClaskey and Barbara Bray: One of my first webinars came from a PL panel I served on. Barbara Bray organized it. The authors have published a book, How to Personalize Learning. Be sure to visit Barbara and Kathleen‘s respective websites. See this Teaching and Learning Approaches chart. Be sure to join us at the Innovative Learning Strategies conference for a learning experience focused on the intersection of strong pedagogy and technology integration. Sessions will share the best teaching practices and research-based strategies around innovative technology trends will be elaborated on. 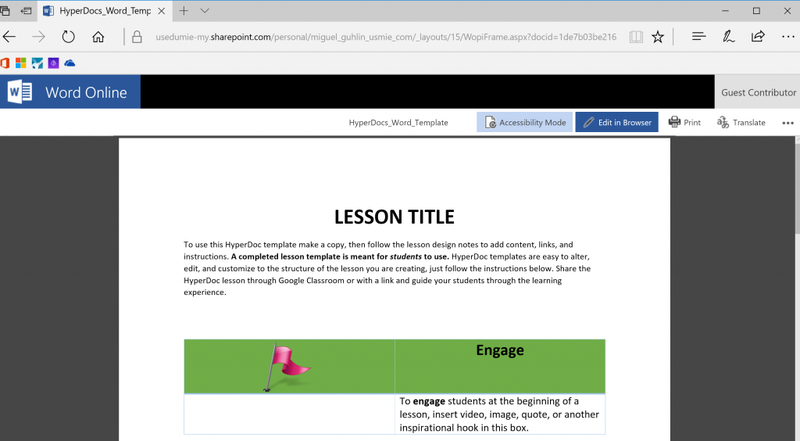 In Part One of this 5E Model plus Technology with the ISTE Standards blog, we explored the Engage, Explore, and Explain aspects of a 5E Model lesson plan. For fun, we took a look at blending the 5E Model with technology from the perspective of the Dust Bowl. In this blog entry, we’ll continue our journey through the Dirty Thirties, focusing on the Elaborate and Evaluate aspects of the ISTE Standards. How? Activities that capture the students’ attention, stimulate their thinking, and help them access prior knowledge. Technology? Some example activities appear below. 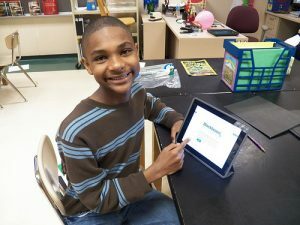 Students develop a solution to a real problem that incorporates their knowledge, communicating that in a variety of media formats. Students would rely on a combination of audio/video creation tools to articulate their perspectives and then express those online, soliciting feedback from the community and knowledgeable parties. Students could rely on VOIP tools like Skype, Google Hangout Meet, or Appear.in to connect with other teams of students exploring the Dust Bowl in other classrooms around the district or globe as appropriate. After self-selection of a design process such as the Engineering Design Process, use video documentary creation tools and/or virtual world (e.g. Minecraft: Education Edition) to create their representation of the problem faced. Then they would offer solutions from various stakeholder perspectives pertinent to their own group. These would be incorporated into their digital representations/creations. TCEA offers teams of educators, as well as individuals, certification in the ISTE National Education Technology Standards (NETS). ISTE Certification is a new competency-based, vendor-agnostic educator certification based on the ISTE Standards for Educators. This digital credential recognizes educators who understand how to use edtech for learning in meaningful and transformative ways. Find out more. How? Students, with their teachers, review and assess what they have learned and how they have learned it. Students can be given a summative assessment to demonstrate what they know and can do. Technology? Some example activities aappear below. Students create a OneNote notebook (or Google Slides/Sites) with embedded videos reflecting on content. 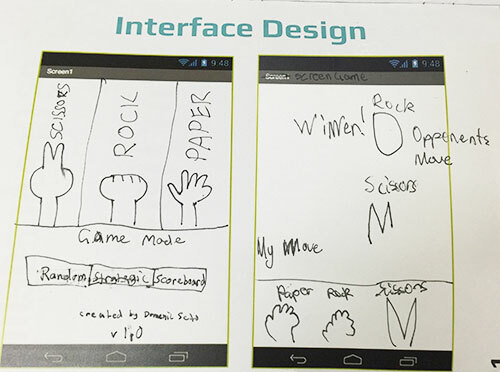 Students’ creations are notated from a perspective of real life usability rather than teacher satisfaction with a transitional student product. The primary ISTE Standards addressed include the following. How would you extend these? Innovative Designer: Students use a variety of technologies within a design process to identify and solve problems by creating new, useful or imaginative solutions. Creative Communicator: Students communicate clearly and express themselves creatively for a variety of purposes using the platforms, tools, styles, formats and digital media appropriate to their goals. Global Collaborator: Students use digital tools to broaden their perspectives and enrich their learning by collaborating with others and working effectively in teams locally and globally. Curious about some of the digital tools available that could be used to facilitate this lesson? Here are a few ideas to get you started. OneNote + Office Lens: These two free apps, which work on a multitude of mobile devices, allow you to store text, audio, images, and embed videos and could easily be used to collect information. The Office Lens app lets you digitize content, snap a picture of paper items or photos, and save them to OneNote, a digital notebook. With OneNote’s built-in digital ink, students can easily fill in the chart and storyboard their digital story. The teacher can take those student creations, combine them with the final products, and publish them on Docs.com as a OneNote Notebook (which is free for everyone and works great on iPads, Chromebooks, Windows/Mac computers, and Android). Google Photos + Google Drive: With these two apps, you can save photos or videos taken with your device to Google Photos, saving content online. Assorted Image Apps: Collecting images can be straightforward with mobile apps like Camera Awesome (iOS and Android), Camera MX (Android), and Google Camera. Image annotation becomes easy with Annotate (iOS), Photo Editor by Aviary (Android and iOS), SnapSeed (iOS and Android), as well as EyeEm Camera and Photo Filter (iOS and Android). Don’t be afraid to take advantage of green screen apps (DoInk for iOS and Green Screen Pro for Android) to further enhance photos, making your own green screen with a $1.00 Dollar Tree store green plastic tablecover. Students have a wide variety of technologies available to them at no cost, as well as others that tap into the Windows laptops, mobile iOS tablets (e.g. iPads), and/or Chromebooks that allow them to interact on both small and large screens. This interaction is collaborative given the nature of built-in collaboration options available to Google Suites for Education, Microsoft OneNote with Class Notebook and Microsoft Teams. Remember to start your engaging 5E Model + Technology lesson with a problem scenario and/or emotional hook. Then set up collaborative activities that facilitate solution development.